Florida Polytechnic University and Tallinn University of Technology (TalTech) in Estonia, are joining forces to advance the research and application of autonomous vehicle (AV) technology in Florida and Europe. Through a memorandum of understanding, signed on Wednesday, April 10, at the Estonian embassy in Washington DC, both universities agreed to collaborate on ways to develop this emerging technology for the public transportation sector. Tallinn University of Technology (TalTech) helped develop the ISEAUTO, the first self-driving car in Estonia. 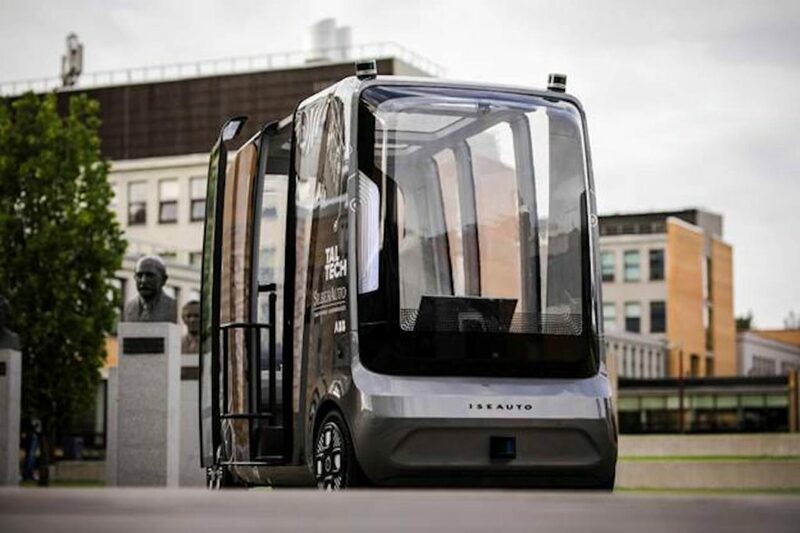 TalTech and Florida Poly announced a collaboration to boost the research and testing of autonomous vehicles for public transportation. Florida Poly’s Advanced Mobility Institute (AMI) is a university-affiliated research center focused on advancing and testing AV technology. AMI is not only unique to the state, but also one of the largest university centers specialized on the narrow area of testing and verification of AV technology in the country. The agreement between Florida Poly and TalTech fosters the development of AV technology within downtowns and university campuses, as well as other controlled settings. It also creates work and study opportunities to support the implementation and testing of this technology, along with promoting education and outreach efforts regarding its applications. Located in the Estonian capital of Tallinn, TalTech is the only technological university in the country and has become their flagship of engineering and technology research and education. TalTech has been committed to the development of AV technology for years and created, in cooperation with private companies AuVeTech and ABB, Estonia’s first self-driving car – the ISEAUTO. Recently, Florida Poly announced a collaboration with the Jacksonville Transportation Authority (JTA) to enhance the development of AV technology in public transportation. Dr. Randy K. Avent, president of Florida Poly, said that these new alliances with AMI are key to seeing this cutting-edge technology successfully implemented in the nearby future. Florida Polytechnic University is an accredited member of the State University System of Florida, dedicated exclusively to STEM (Science, Technology, Engineering and Mathematics). The University is a powerful economic engine within the state of Florida, blending applied research with industry partnerships to give students an academically rigorous education with real-world relevance. The campus is located in Lakeland, Florida along the I-4 High Tech Corridor. Connect with Florida Poly.